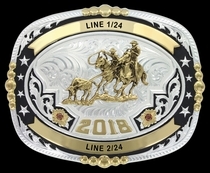 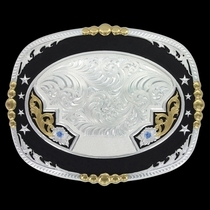 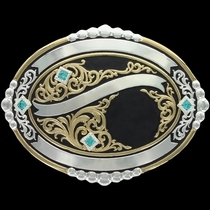 shaped buckle in tri-color silver, gold and rose gold finish with silver finish berry and gold bead trim and black paint accents behind the copper filigree. 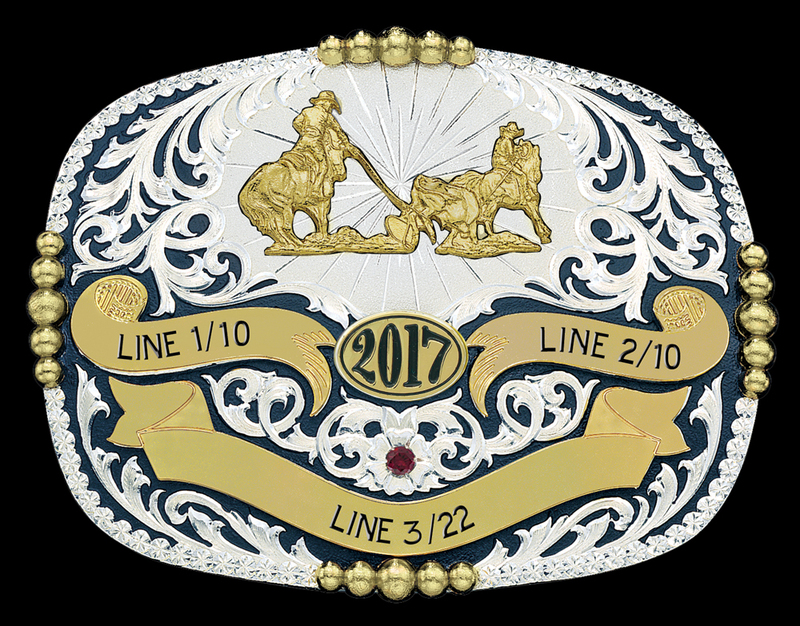 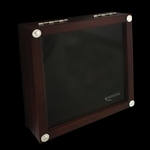 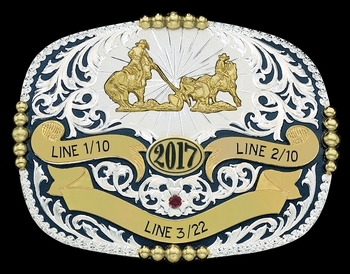 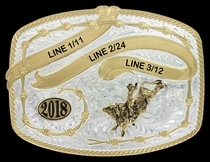 Options include gold finish figure of your choice, color of one stone, date trim, and three lines of engraving up to 42 characters. 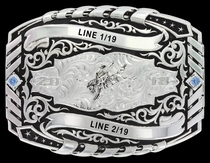 Standard 1.5" belt swivel.